Knuckledraggin My Life Away Part I: IS THAT YOU, MILE HI? Uummmm.. ??? 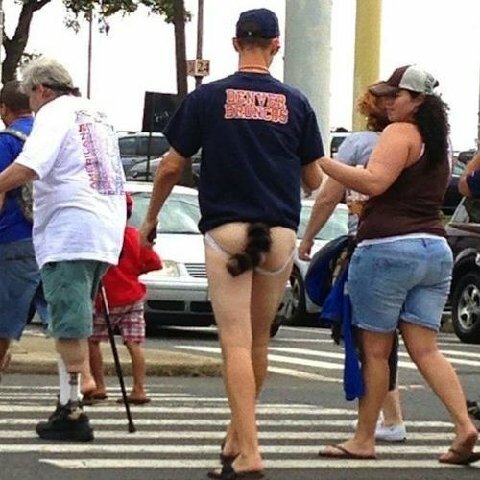 Not sure what to say about that one..
Of course.....it would be a Denver Bronco's fan! Yeah, what the hell are they taking a picture of a disabled man for...racists!